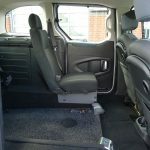 This Berlingo really does tick all the boxes with all the added extras including a carpeted wheelchair location. A great all rounder. 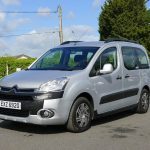 This model has a 1.6 cc diesel engine and automatic gearbox. 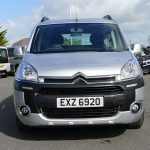 A compact vehicle with daylight running lights, front fog lamps, parking sensors and some handy roof rails should they be required. 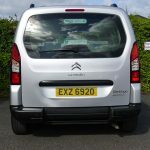 The conversion is by McElmeel and the car adapted to a high standard. 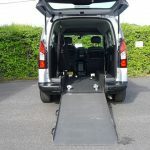 The 2 piece lightweight ramp provides an easy access into the back of the car for the wheelchair user and can accommodate even the widest of wheelchairs as the width of this ramp is a generous 31.5 inches. 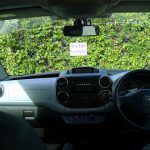 For added privacy and an effective shield from bright sunlight, this car has been fitted with window blinds – a nice touch. 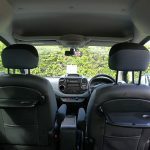 The occupants of this car can also enjoy using the air conditioning on those warmer days or longer journeys. 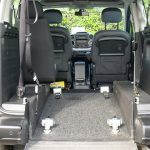 Security is, of course, very important and this WAV has been fitted with a four point wheelchair restraint and safety belt system – easy to use and ensure that the wheelchair and wheelchair user is both safe and securely fastened in before setting off on any journey. 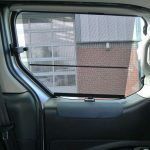 Front and side visibility is excellent so the wheelchair user can enjoy the scenery when travelling along. 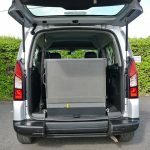 We have provided some additional photographs of this vehicle so that you can see for yourself the front overhead storage shelf and the trays in the back – great for keeping this car nice and tidy and providing a place to hold drinks etc for the wheelchair user in the back. 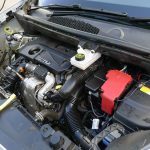 Check out the ‘Advice’ section above where you will find some very useful and helpful information to guide you through the different vehicles that are available. 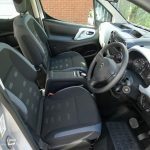 Take a look at the video we have provided giving you a demonstration on how to use one of these vehicles, great idea especially if you are a first time WAV user. 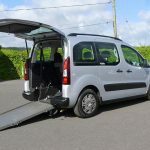 If you require any further support/help on deciding which of the wheelchair accessible vehicles is the perfect one for your particular needs, please give us a ring and speak to one of our experts. 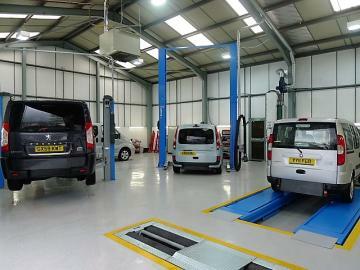 All of our cars come with 12 months MOT, 12 months warranty and have been serviced in our very own Service Department before being delivered to their new owners.